There is no job too small or large. We have trimmed a few inconvenient limbs... and climbed up sixteen stories into a live oak. We have explored the dense forests of Mississippi and have experience with every species of tree and shrub native to this beautiful state. 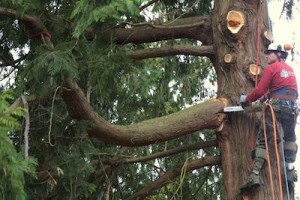 We have also seen every kind of tree job! You can rest assured knowing that your beautiful trees are in good hands with us... and we have the knowledge to treat them with respect and care. A full prune requires climbing to the top and thinning out from the center. 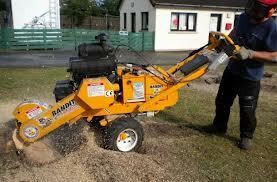 We remove the undergrowth, including crossing branches and dead material. 1/3 of the foliage can be removed. Partial pruning may be the appropriate action as well. This can be done from the outside moving into the center of the tree. 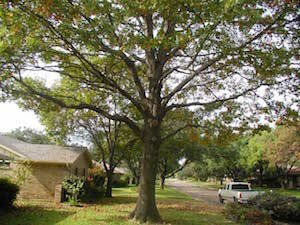 Correct pruning reduces the amount of debris that collects in your yard. Pruning also allows the wind to pass through the tree instead of straining the tree. During a storm, this can reduce possible damage to your property and family. You will also notice that correct pruning allows for more sunlight to pass through the canopy. This benefits your other shrubs, gardens, and overall appearance of your lawn. A pruned tree is a happy tree! Eliminate branches that rub and cross. Get rid of branches that touch power lines. Training young trees to grow the correct way. 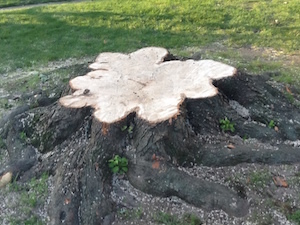 Improve the overall shape of your trees. Catch diseased limbs and remove them before they infect other parts. Keep an eye out for insect infestations. Our prices are very reasonable and we always try to offer the lowest possible rates for your jobs. 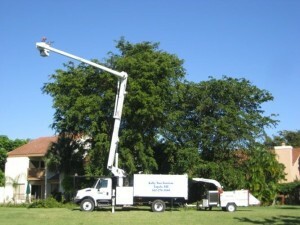 See our other Tree Services. 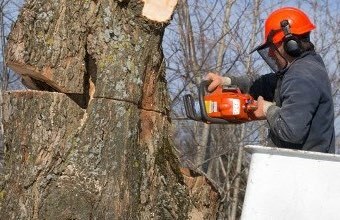 Helpful Information about Trimming and Pruning From Our Friends at Lowes.